Sunshine Retirement Living’s Independent Living Communities constitute our primary senior living option, providing a wonderful environment where our residents can maintain an independent lifestyle while focusing on companionship as well as their social, emotional and physical requirements as the need for care arises. Independent living communities are best suited for seniors able to enjoy an active lifestyle with minimal support, in a group-living apartment complex providing abundant social connection opportunities. Our residents can enjoy the comforts of home, with engaged staff to take care of their needs, daily home maintenance, and yard work so they can enjoy a well-deserved retirement in comfort and safety. Our 24/7 staffing ensures caring and competent professionals are on hand to take care of needs and potential emergencies at any time, day or night. Our independent living communities offer resort-style living, with spacious, pet-friendly apartments set up with standard safety features such as emergency pull cords (and wireless pendants), and amenity options like full kitchens, walk-in closets, washers and dryers and private balconies to name a few. 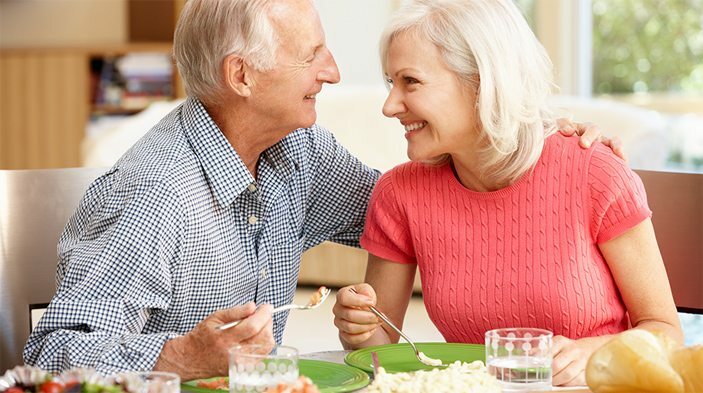 Restaurant-style dining and beautifully maintained, park-like landscaping delight the senses, and our focused activity and fitness programs keep seniors active and engaged. With planned activities, both on-site and off, transportation options and knowledgeable concierge staff, there are always fun and enriching activities to choose from. We have a number of beautiful communities to choose from in over 20 locations around the U.S., each with its own unique regional flavor. Our residents enjoy the freedom to stay in any of our Sunshine Retirement Living communities when traveling or visiting a new area. All of our communities offer month-to-month leases with no long-term commitments.